A group of girls at a summer camp were terrified when a man pointed a gun at them on the playground. 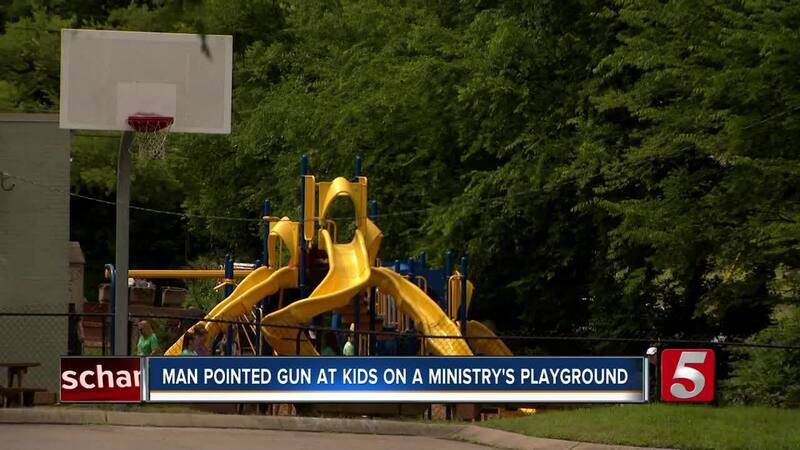 A group of girls at a summer camp say they were terrified to see a man pointed a gun at them on the playground on Tuesday. According to an affidavit from Metro Nashville Police, Kyrin Phillip Gardner pointed a gun at several 9-year-olds who were “instantly in fear for their lives” and ran inside the building. "We had a couple girls who came running in, and they shared with our psych director that a man who walked by and had waved a pistol at them," Chan Sheppard with Preston Taylor Ministries said. The center went on lockdown while police responded. Police were called to the scene and found Gardner only a half block away. When the officer arrived at the scene, he chose de-escalation instead of deadly force. Officer Tyler Bryson asked Gardner if he was carrying anything of note. Gardner reportedly admitted to having a small amount of marijuana and opened his pocket. The officer said he saw a small black pistol inside his pants pocket. He was then asked to put his hands behind his head, which he allegedly ignored. Police said he began to run and reached into the pocket containing the gun. Bryson was able to chase Gardner down, tackle him and stay on top of him until backup arrived. A gram of marijuana was found inside his pocket, along with the loaded pistol. "I initially didn't pull my firearm because in an attempt to de-escalate the situation, I had control of his hand and I knew it wasn't going anywhere," Bryson said. Bryson is familiar with Gardner. He's part of Metro's new community policing program and is assigned to the Preston Taylor homes. "We're here to help people," Bryson said. Officer Bryson said he's back on the streets, hoping that his encounters with Gardner will be a wake-up call. "One bad decision shouldn't determine a life," Bryson said. The director at Preston Taylor Ministries said the suspect was one of the children they tried to mentor in the neighborhood. Police booked Gardner and charged him with aggravated assault, reckless endangerment, resisting arrest, having a weapon, and drug possession. Residents are thankful nothing terrible happened. "I think it's wonderful that we didn't have to use lethal violence as a lot of police officers tend to shoot, and I understand their lives are at stake," Scott Johnson said.